How can I get verified badge on my Profiles or Pages? The process to apply for a blue badge is simple, you must be a public figure, Professional photographers, travelers, media organization, or brand, you almost certainly Will be approved. Unlike with Facebook or Twitter, you need to convince Eyonaa you are worth verifying. In other word (You have to prove us that you're eligible for verified badges). ✪ Your name must match with your ID. ✪ Content posted to the account. ✪ Your Facebook Profile must show that your Verified on eyonaa (for example: Working at Verified member at Eyonaa). If you’re attempting to verify yourself as a person, you will need to provide a government issued photo ID and your photo. If you’re attempting to verify a brand, or media page, then you’ll need to have your profile Verified or if your page has 50 posts. Otherwise your page won't get verified. Can I Get a Verification Badge Without ID? Yes you can get your profile verified if you don't have ID card. We do understand that most Users don't have ID card, so we created PRO Member and point system to get your ID verified on Eyonaa. 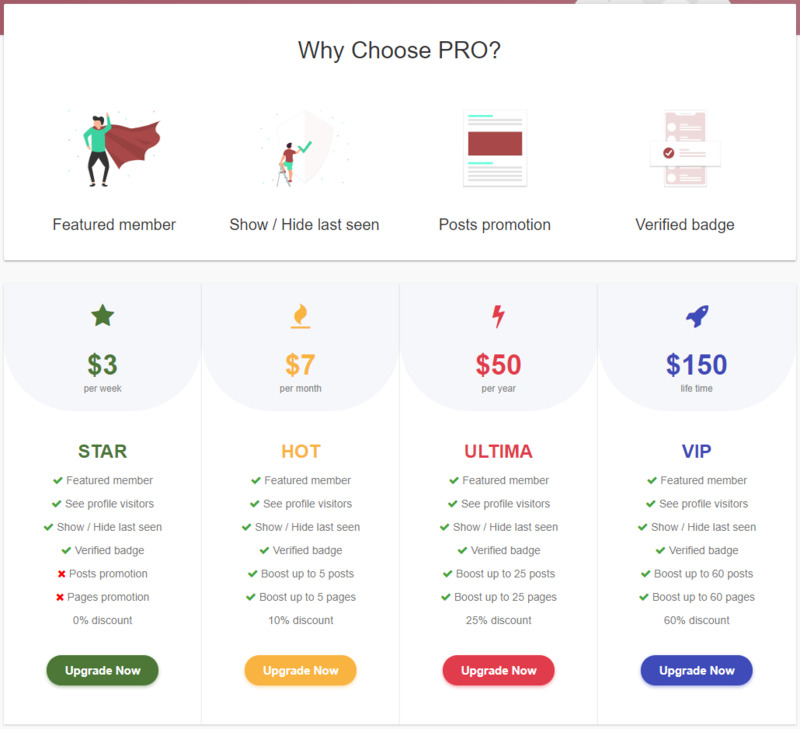 You need to have at least 3,000 points, if you are attempting to buy one of the Pro member package with the points. Remember you can always check how much you've earned and points you have in your Account Setting. to decide what PRO membership you'll purchase and what package is the best for you to choose. 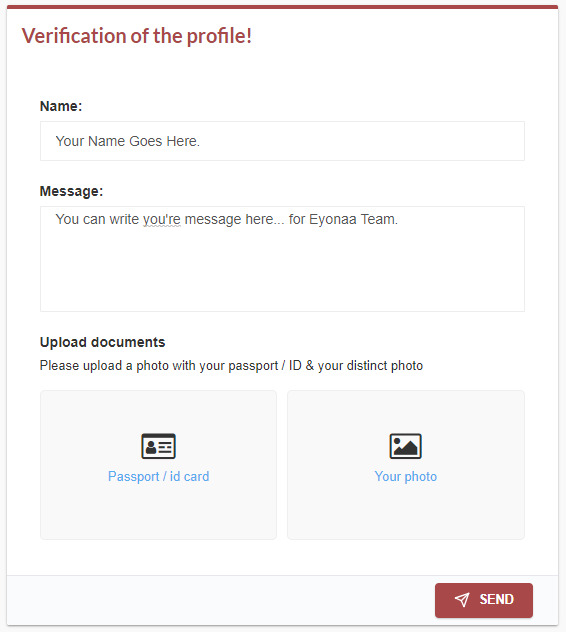 Note: If you choose to verify your profile using ID, Eyonaa will take a few days to compare the details on your Requested page with publicly available information. If your info checks out and then your profile will get verified on Eyonaa. However your profile will get instantly verified, if you Choose one of the PRO package.